New gTLD Summit: Registrations OPEN! 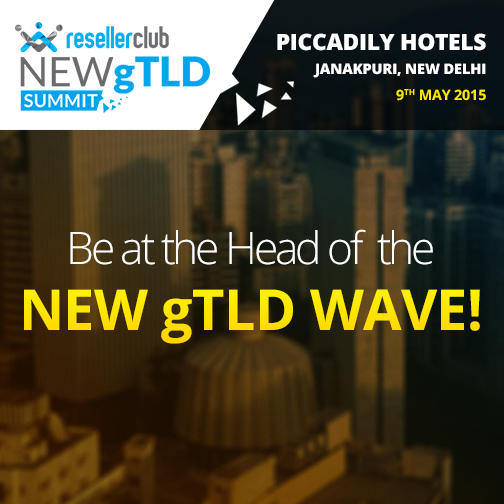 We are pleased to invite you to the 2nd Edition of the ResellerClub New gTLD Summit, now in New Delhi & let you know that registrations are now OPEN! Register today for the Summit and interact with the industry experts from each of the stakeholder groups to find out how you can leverage the potential of this exciting development in the domains industry. There are limited number of seats and reservation is first come first serve basis so grab your spot now! Looking forward to seeing you there! If you have any queries about the summit, please leave them in the comments below!